Hello people. These are the instructions to my FAMAS G2 model. question,how many cut parts does this need? I only have two white rods without the ends on them and I want to build this. I'm afraid you'll need a few more of them. 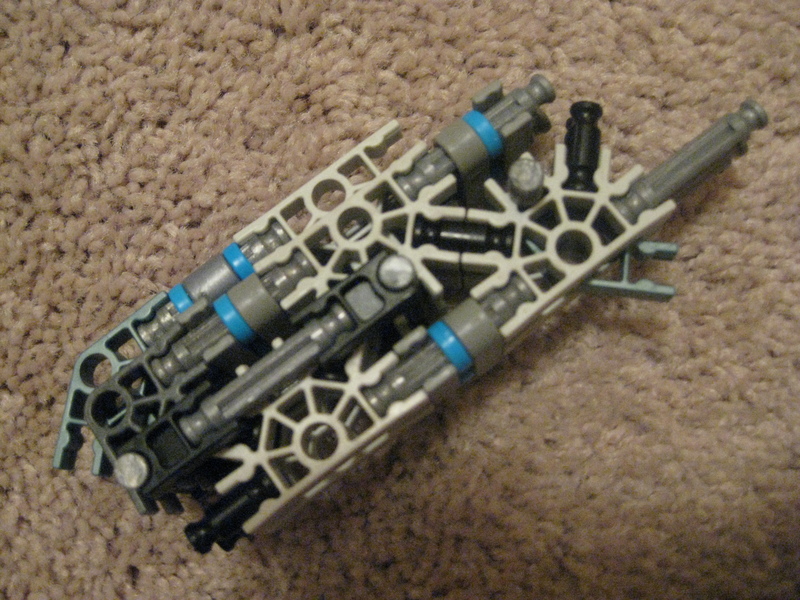 The ones in the magazine can be replaced by green rods in the circular holes, with tape around them. If you leave the hinges near the magwell away, you should be able to replace the broken rods there with normal white ones. The trigger can be an orange connector with a green rod through the circular hole, which should save you another one. I'm not sure about the rest, I haven't had this gun assembled since this ible, so I looked over the instructions. Hey, a question about a piece. On the fore-barrel, how many of those little black tires are there? I only have 4, so I need to know how many more to get. It looks like a KH2002! Ah, never saw that gun before. That indeed looks a bit like a FAMAS!